I love to hear from my visitors. Especially when that means learning about more great barbecue grill recipe ideas. I know you all have favorites. 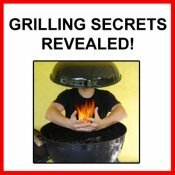 You can share them here and my readers will benefit from all your great grilling recipe experience! 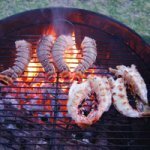 Below you can submit grill recipe instructions as well as pictures of things you'd grilled on your barbecue, fire pit or even in your fireplace. There are so many possibilities for great barbecue recipes so show off your skills and versatility. Even if you just want to show off your finish product in a nice picture, we'd love to see it. But even better yet, provide detailed preparation instructions in your grill recipe and all my readers (and myself!) can benefit from your great grill cooking. What's Your Favorite Grilling Recipe? 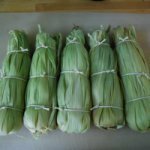 I know all you fire lovers out there have some great recipes for grill, fire pit or even fireplace cooking! Impress me by sharing your favorite grilling recipe here which will be featured on my site! Your recipe will appear on a Web page exactly the way you enter it here, although I will help you edit it to make it more readable if need be. You can wrap a word in square brackets to make it appear bold. For example [my recipe] would show as my recipe on the Web page containing your recipe. TIP: Since most people scan Web pages, include your best thoughts and tips in your first paragraph. Also, try to organize your recipe into a brief introduction, a list of necessary ingredients and a list of instructions or steps. Do you have a picture to add which will help readers understand your recipe? Great! Click the button and find it on your computer. Then select it. Go back to the Barbecue Grill Recipe page. Return to the Fire Pit and Grilling Guru home page.